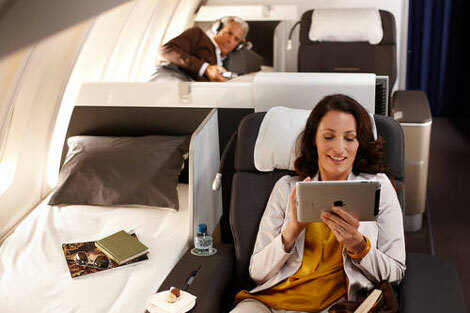 Lufthansa has completed fitting its new first class cabin onto all its long-haul aircraft based at Munich airport. The German carrier said that this winter a total of 24 A340-600 and A330-300 aircraft will fly to 22 international destinations from Munich. The airline will now retrofit its new first and business classes onto the remainder of its long-haul fleet (not based in Munich). And, by the end of this year, all Lufthansa long-haul aircraft will feature its new premium economy cabin. The new first class cabin contains eight fully-flat seats that are 2.07 metres long and 80cm wide. The new business seat measures 1.98 metres in length. Earlier this week, Lufthansa announced it had started flying a B747-8, featuring its new premium economy class, between Frankfurt and New York Newark (see news, February 23).